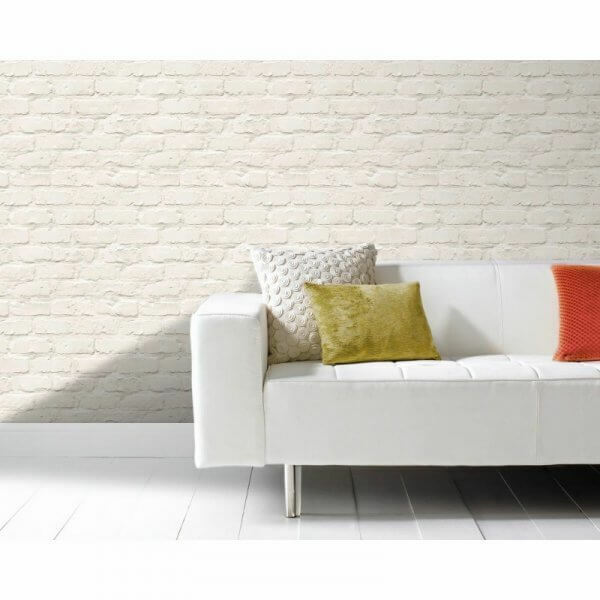 Brick walls continue to be a huge interior design trend with this bargain wallpaper from Ideco allowing you to create this effect in your home at a really low cost! The crisp clean white brick effect pattern is cleverly detailed with shadowing and texture to create a realistic 3D brick effect . This wallpaper would make a fantastic feature wall design paired with a brilliant white or pale grey paint on your other walls. You can introduce colour in your accessories such as cushions and light fittings which can easily be changed around when colour trends change! Brick walls continue to be a huge trend for interior decorating and faux brick effect wallpapers are one of the most cost-effective ways to achieve this fabulous trend! 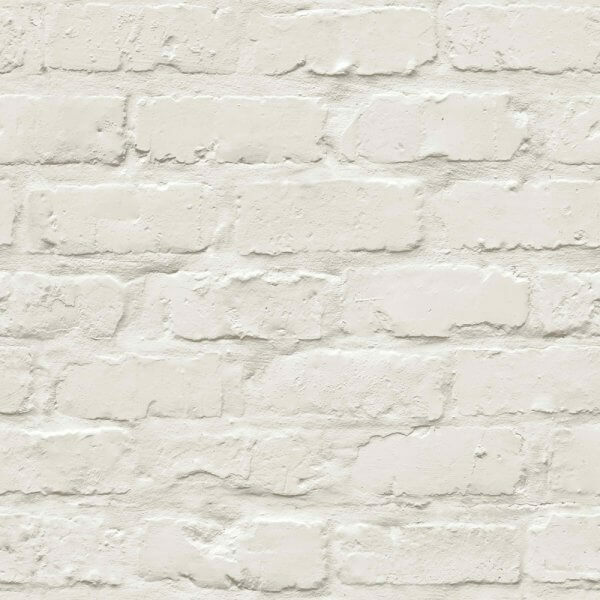 Crisp white brick effect walls provide a bright and airy finish to any room in your home and allow you to add colour with your accessories meaning you can regularly change up the style of your room without changing the wallpaper! This fabulous and cost friendly design from Ideco is an incredibly effective wallpaper due to the detail in the image and shadowing around the bricks to ensure a 3D effect. At only £8.99 a roll, you will be hard pushed to find a more effective white brick design at this amazing cost! The perfect wallpaper for any room in your home, especially for the difficult to decorate for teenager bedroom, this wonderful faux brick design is a washable paper and a straight match pattern making it straightforward to hang. Pop a free sample into your basket to see for yourself!